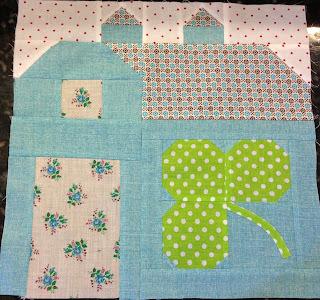 I'm determined that my barns will not become a UFO quilt. You know, I never used to have a problem finishing my quilt tops. I don't know what my problem is lately. But my barns will be a top as I keep up with Lori's. Since the quilt block in the barn is a 6", it is easy to work ahead of Lori with some blocks I've made once before. Remember, I am trying to make them look like hex signs. 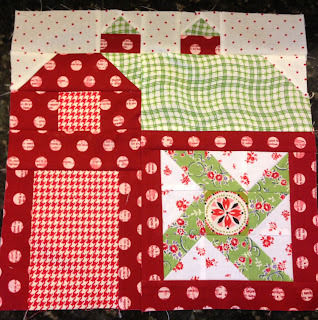 This red barn is probably my favorite of this next bunch. 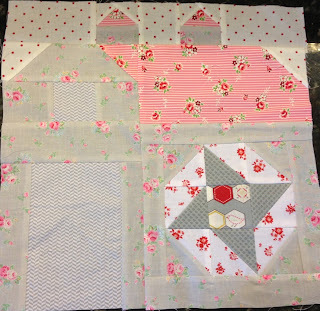 I like the darker red and the hex sign/quilt block is perfect. I like the roof, too. It kind of looks like green thatch (if you squint). This gray block is kind of a softer hue (and it was ironed, I don't know why it looks wrinkled in the photo). I went for a faux circle in my hex sign/quilt block. I remade some of my Farmer's Wife blocks for these 6" blocks. I tried to have the center square look like a distelfink. A Distelfink is a classic bird in hex signs. Hex signs all have meaning. A distelfink is there to wish good fortune. Here is a site that tells what popular hex signs mean. The clover in a hex sign also roughly means good fortune. I really like this clover block. I made myself a cheat sheet for the cutting table when I cut my barns. It helps me remember what I'm supposed to do. I can't wait to see what Lori's next barn looks like. your barns are looking great Nanette! I LOVE those barns! You are doing an amazing job, I so enjoy seeing your creativity at work! 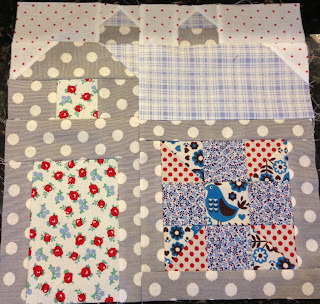 What a cute collection of barns Nanette! It is going to be a great quilt. 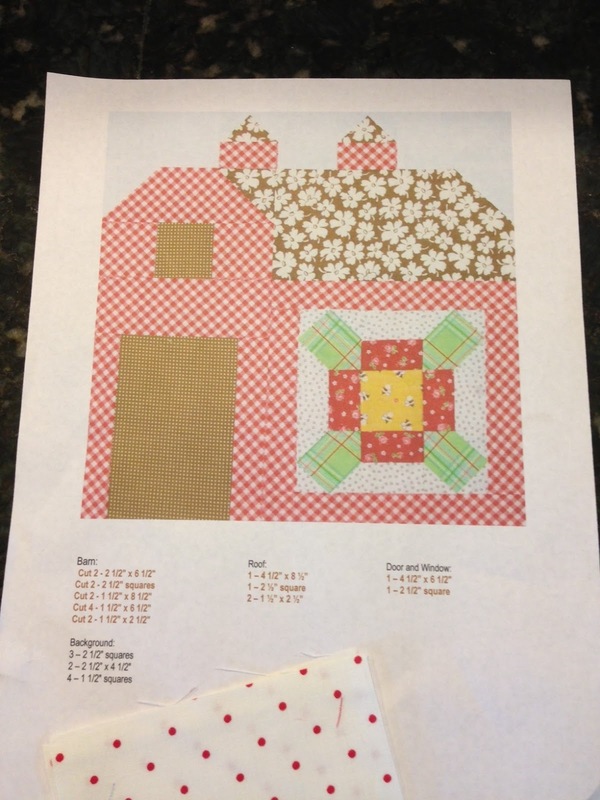 I love the quiltalongs she is doing and watching your interpretations. 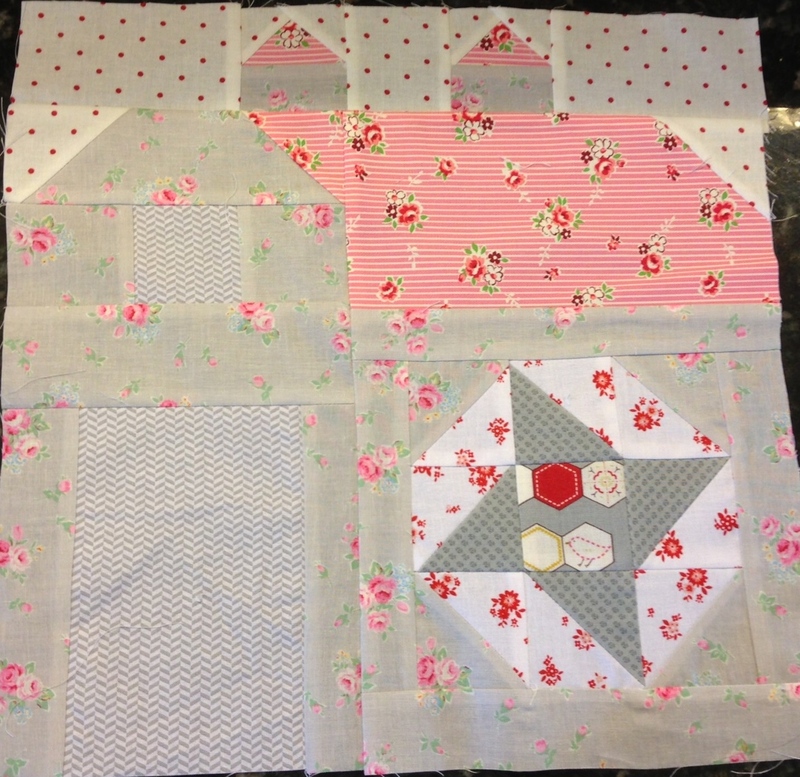 I ended up making my great granny a full size quilt so I kind of got overwhelmed to do the next 2 quiltalongs. I am having trouble finishing lately which is unusual for me too. I guess I will blame too much inspiration and not enough time! I love your cheat sheet! Brilliant!! I need to make one! Your barns are super cute too!!! I love your barns! I like the red one with the green roof also. I can hardly wait to get started on mine. I'm anxious to see Lori's next reveal too! I'm loving how all of your barns are coming together Nanette. All of them look "so you"
Fabulous job Nanette! I love your cute little distelfink too! if i HAD to choose . . . the red and aqua are my favorites, but i love them all! 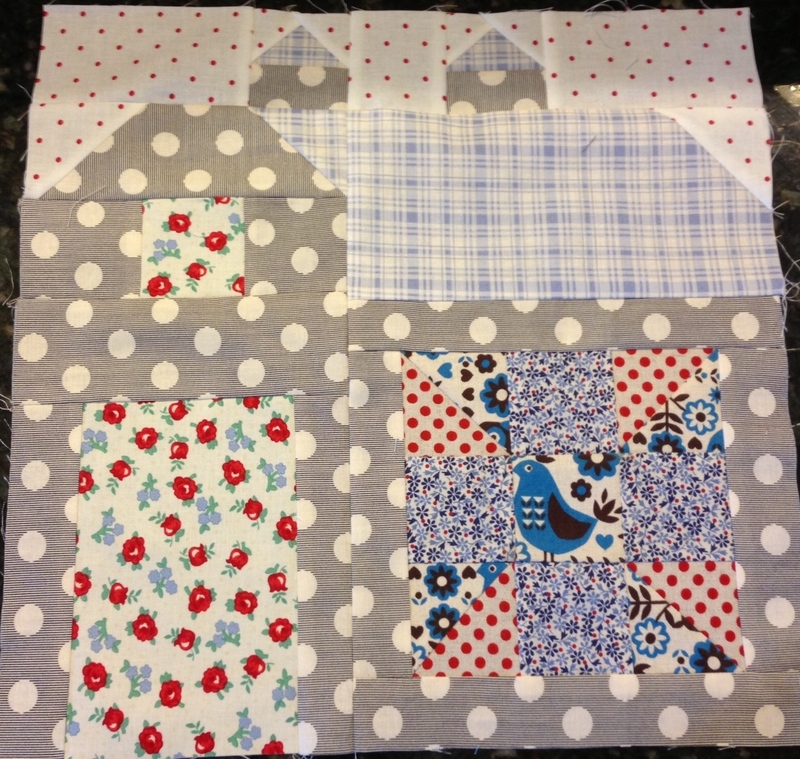 Beautiful block designs on the Barns! Clover leaf is unique and the color combinations are delicious! Love the barns, each is so happy and fun! I love them all! Just got my border on the row quilt so now I can build more barns! Brilliant on the cheat sheet!